Photo collages have become increasingly popular nowadays, as a fun way to record beautiful life moments. By gathering more than one photo in a large canvas, people can easily share multiple photos with families and friends while telling a story. As I have introduced before, FotoJet collage maker has the power to collect your photo memories creatively and artistically, so that you can enjoy them forever. 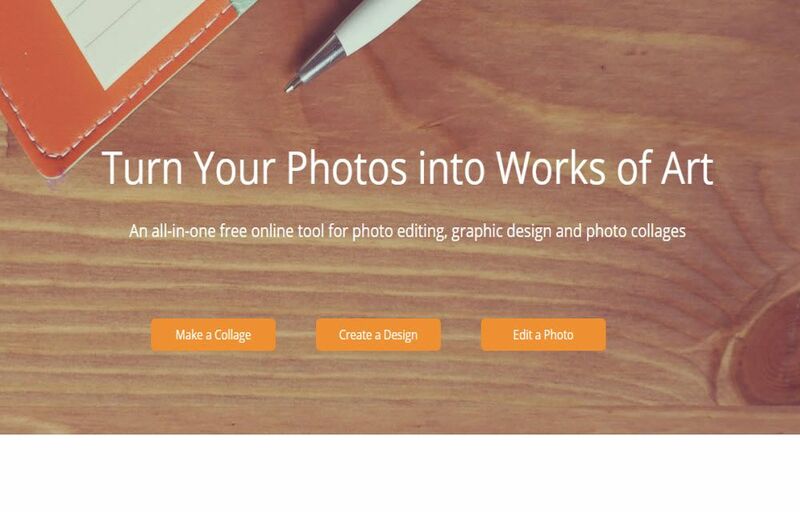 Recently, it got many updates that will enable you to have a more flexible experience for online collage making. From family parties to popular holidays to happy vacations, FotoJet can help highlight your fun memories. FotoJet released more types of gorgeous templates that will save your time, effort and money. You only need to spend a few minutes on the site: www.fotojet.com and you can turn your photos into amazing photo collages, posters, fake magazine covers, comics, birthday cards, anniversary cards, baby cards and other types of image items. The interface and features of FotoJet have become more intuitive and user-friendly. When you start making a collage, you are presented with various samples for modern collages, creative collage, 3D collages, photo cards, posters, etc. It’s so simple to select one favorite template to fill your own photos. You can freely adjust your photos in the ways you like, including moving, rotating, flipping, cropping, applying popular photo effects, adding text/clipart, etc. Besides of photo collages, the new release of FotoJet will serve your other photo stuff needs like social media graphics and photo editing online. FotoJet is designed with a handy graphic design tool now. This tool is ideal for online bloggers, YouTubers, marketers as it has templates for the most popular social media sites including Facebook, Twitter, Instagram, YouTube, Tumblr, etc. There are many available templates provided. You just choose a template and then make some adjustments to get a great final work. FotoJet also has a photo editor for online photo editing. It’s an easy-to-use option when you want to touch up your photos. This tool offers numerous editing features such as crop, resize, rotate, straighten, photo effects/filters, overlay, frame, exposure, sharpen, dehaze, vignette, tilt-shift and more. A large assortment of templates. All in one for collages, posters, photo cards, social media graphics and photo editing. I have to register an account for using some advanced features. I can not send my edited photos to collage tool or graphic tool directly. What makes FotoJet stand out from rest? Totally free to use, no need to download. Abundant free templates AND resources. Easy operation for photos, text, clipart images, shapes.